The B-2 Spirit is a stealth bomber produced by Northrop Grumman. 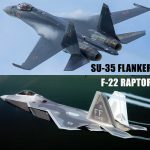 It is characterized by its many upgrades, political controversy, and continued service in the United States Air Force as a nuclear-capable first strike aircraft. The B-2 combines exceptionally long range capabilities with a large payload while still able to maintain stealth from enemy air defense systems. Internal fuel storage allows this aircraft to travel up to 6,000 nautical miles. 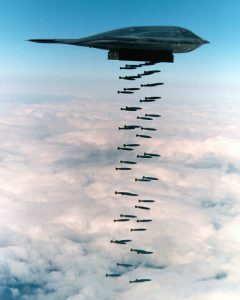 Payload capacity of the B-2 Spirit allows it to deliver up to 20 tons of conventional or nuclear ordnance. 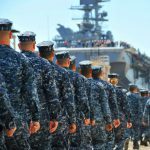 It has been used in Operation Allied Force over Bosnia, Operation Iraqi Freedom, and Operation Enduring Freedom in Afghanistan. 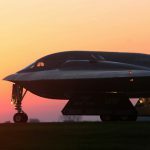 With planned and scheduled upgrades to its electronics and avionics, the B-2 Spirit is expected to remain in service past 2050. The B-2’s stealth functionality is a product of its airframe design and strict engineering. 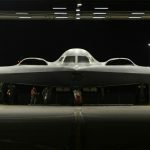 On its exterior, the B-2 Spirit has anti-reflective paint that absorbs incoming electromagnetic radiation emitted from ground and sky-based air defense systems. 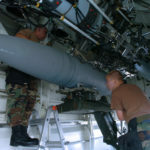 This ensures that the aircraft is able to maintain an altitude of 50,000 feet in hostile terrain. 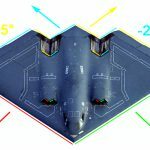 In addition to an anti-reflective coating, the B-2 also relies upon a sophisticated electronic warfare suite to camouflage and disguise its signature across multiple RF spectrums. 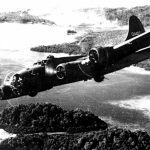 This is done in part by the AN/APQ-181 active electronically scanned array (AESA) antenna system which enables the B-2 to use its radar without revealing its position. Another great asset of the B-2 Spirit is its own internal guidance systems. The NAS-26 is an astro-inertial navigation system which relies on tracking stars rather than communicating with GPS satellites. Because the B-2 Spirit may fly in contested airspace, it needs to maintain a low signature. Having an internal navigation system that is non-jammable is a mission requirement. 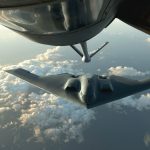 While most military aircraft communicate via conventional UHF and VHF frequencies, the Department of Defense has authorized the Northrop Grumman contract team to upgrade the B-2 Spirit to Extremely High Frequency (EHF) Satellite Communications. 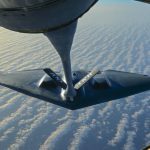 This SATCOM upgrade will ensure the B-2 can stay in communication through some of the most secure channels of radio communication the Air Force presently uses. 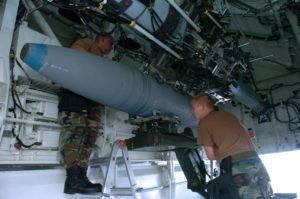 The Defensive Management System used by the B-2 Spirit incorporates sophisticated electronic warfare methods to manage enemy air defense threats. This system helps allow pilots to understand what threats they are facing on the ground and mitigate any direct threats. The DMS is scheduled for an upgrade to ensure the B-2 Spirit is mission capable until it is retired from service. 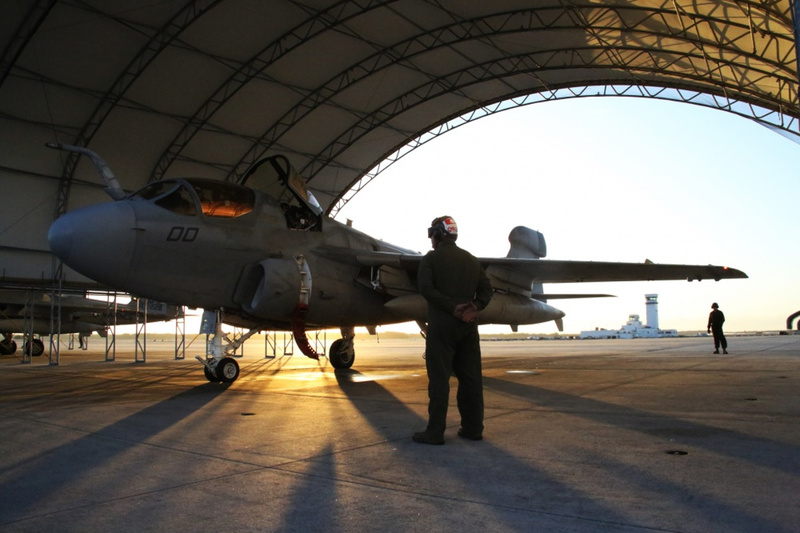 The AN/APQ-181 Active Electronically Scanned Array (AESA) is a system that is undergoing upgrades to adjust for the latest enemy air defense systems and ensure complete supremacy of the airspace. 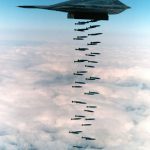 A stealth bomber is only as good as the systems on board which actively detect and stop active and passive threats. 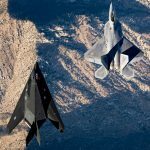 Electronic warfare is nine-tenths of the struggle in stealth bombers. 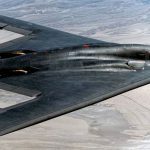 Northrup Grumman has plans to upgrade the B-2 Spirit’s AN/APQ-181 systems to account for modern and future threats. A U.S. Air Force B-2 Spirit deployed from Whiteman Air Force Base, Mo., receives fuel from a KC-135 Stratotanker assigned to the 155th Air National Guard Air Refueling Wing, Neb., during a local flying mission at Andersen Air Force Base, Guam, Jan. 19, 2017. Thanks to its subsonic speeds and nearly 7,000 mile unrefueled range, the B-2 is capable of bringing massive firepower anywhere on the globe through the most challenging defenses. 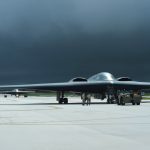 With the B-2 Spirit’s primary designation as a multi-role heavy bomber, it’s taken the collective efforts of Northrop Grumman Corp., Boeing Military Airplanes Co., Hughes Radar Systems Group, General Electric Aircraft Engine Group and Vought Aircraft Industries, Inc. to keep it at the cutting edge of stealth bomber technology. 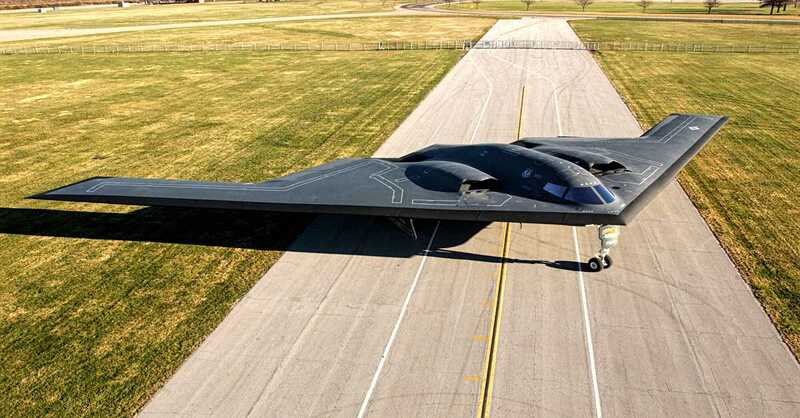 The B-2 is powered by four General Electric F118-GE-100 engines. Each engine can produce up to 17,300 lbs. of thrust. Now see more captivating B2 Spirit images. Only twenty B-2 Spirits remain in use by the United States Air Force as of September 2016.